Designing a piece is one thing, staging it is an art by itself. Visitors to CSM Philippines’ booth were instantly captivated by a trio of wall installations which were displayed to enhance the company’s setting. Though the various components used weren’t new, the manner of display was fresh off CSM’s creative department. A flock of birds in mid-flight was framed against a backdrop of blackened twigs. Another wall piece had delicate blossoms set off by similar darkened branches. Not only did the installation draw buyers; CSM, a leading fine bone china manufacturer, got some orders too. 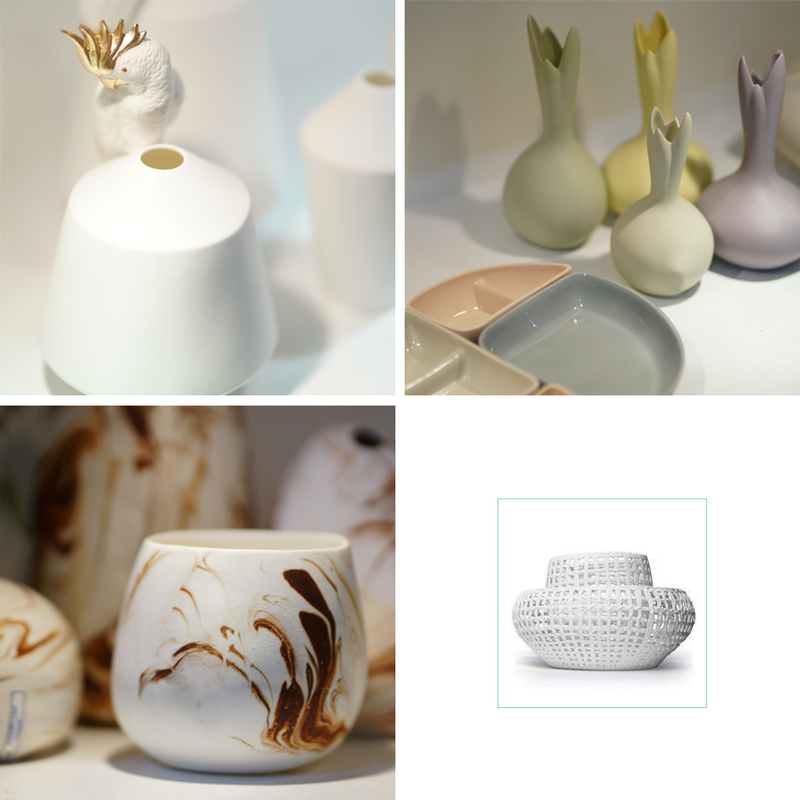 CSM’s exhibition showed the breadth of their range to include the whimsical white and gold collection (top left), Detlef Klatt’s pastel series (top right) and a set of tabletop items stained with sepia hues (above). 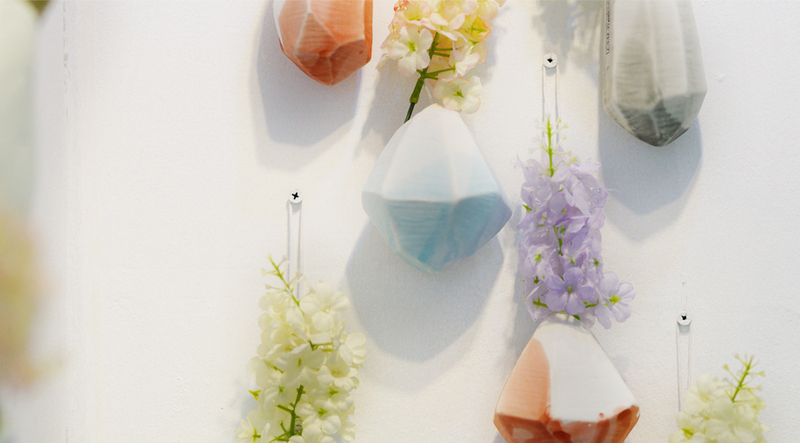 The vase made from interlacing ceramic strips (above right) is from a previous collection. Visitors to CSM’s enchanting booth found it hard to walk away empty handed; there were more adorable finds at every turn. Top attractions included a collection by one of the featured designers under CITEM’s Design Commune program, Detlef Klatt. His dining accoutrements and other tabletop accessories echoed the on-trend pastel colors and modern silhouettes. Tucked in one alcove was a dreamy vertical garden of sculptural vases splashed with vibrant colors. Sculptural vases in CSM’s vertical garden. Not to be outdone were CSM’s in-house creatives who’ve always put up strong shows that display their mastery of a difficult medium. It was a good outing for the Cebu-based company. Most of their regular clients plus new potential buyers from around the Asian region dropped by. The best part would have to be the accidental addition of wall installations to CSM’s product portfolio. Top photo: The muted charm of Detlef Klatt’s pastel collection alongside a graphic series.